Spoilers ahead for Worlds' Finest #10, out today. Worlds' Finest #10, out today, has just been released on at least some of the digital formats, including my beloved Barnes & Noble Nook. 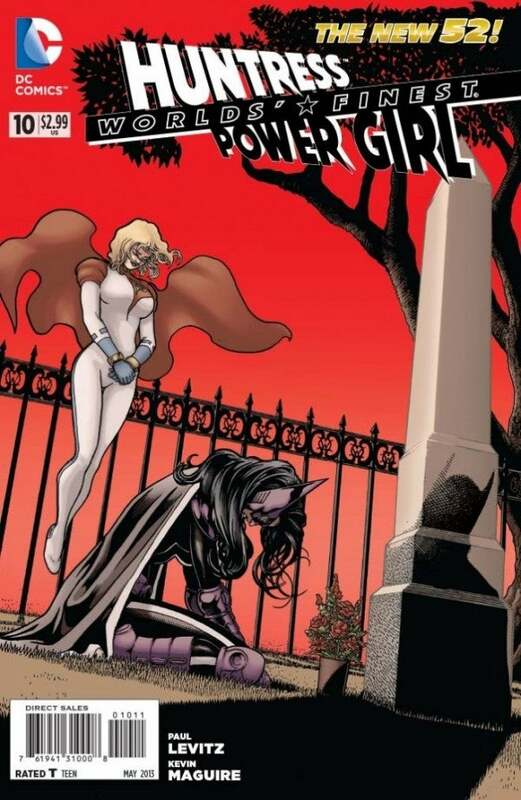 The issue, which sees Power Girl seeking out revenge on Holt Industries in a variety of ways meant to look like they're natural disasters, has been most watched because everyone knows that The Huntress will find out that her kinda-sorta brother Damian (Robin) Wayne has died. While it's interesting to note (especially for all those "he'll be in the Lazarus Pit in a minute" readers out there) that he's already buried and in the ground as of the events of this story, what's arguably more important for readers of Worlds' Finest and Earth Two is thact Michael Holt--better known to readers as Mister Terrific--is back. Not just "discussed," as he has been recently, but actually back-back. 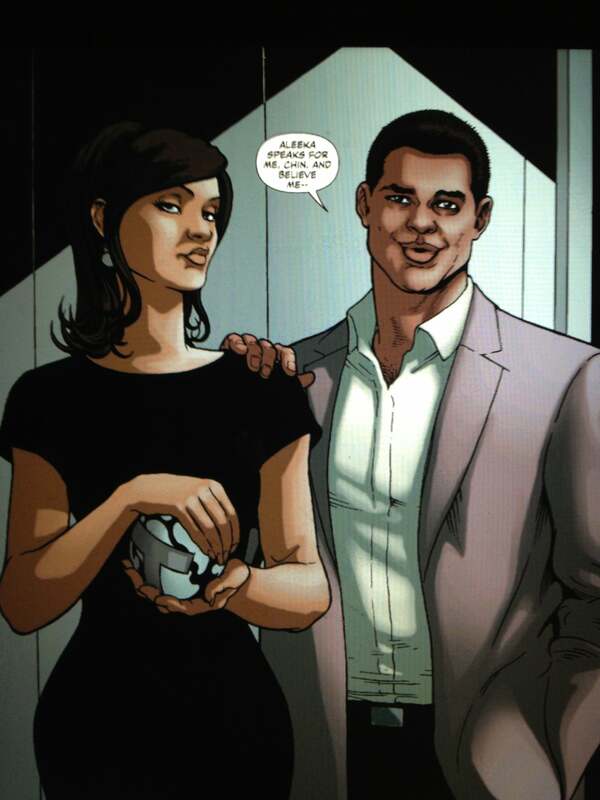 In the flesh, on the page, and flanked by Aleeka, one of the key supporting players from his own cancelled monthly series (you can see our "exit interview" with Mister Terrific writer Eric Wallace here). 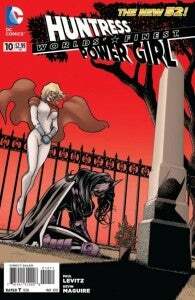 The character was shunted to Earth-2 at the end of his own series, from where his ex-girlfriend Power Girl had come. So...who's this guy?